Hooray for Friday, hooray for Friday! Someone in the crowd is yelling, "Hooray for Friday". Ok, enough singing but really, hooray for Friday! This week was rainy and dreary but there was still a lot to love! Check it out! So after my brother won tickets to the Masters practice rounds this year he was determined to win again. Therefore he, Forrest, myself, and my mom all signed up for the ticket lottery. I WON!! The boys are beside themselves! I don't know if I will go with them since it is kind of their thing, but it is pretty awesome to have the opportunity! 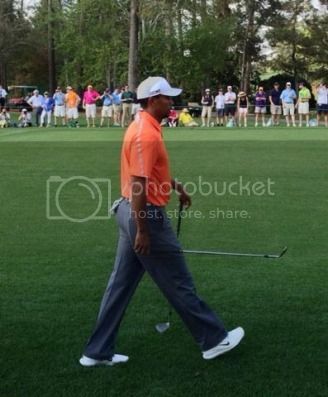 Although, if I can get this close to Tiger, I may change my mind. So my sister moved to Nashville this week. I'm not exactly sad about it because she isn't that far away, it is a cool place that I can visit without any reason, AND, since she has been Miss Alabama USA, I have hardly seen her anyway. Really the best part of her moving is that she cleaned out her closet and I get the benefit of all of her extra stuff! Who doesn't love free clothes!! And if you are wondering "Why Nashville?" to that I say "Why not?" Like I said it isn't that far from home (maybe about 3 hours), it is a very charming city, and many of her friends live there. Do any of you live in Nashville or have you ever been? Any good restaurant/bar/shop advice? I have only been once for a bachelorette party so I don't know much about it! I'm hoping to visit soon! I'm coming to visit sooooooon! Prepare my room!! I am SO proud of Smith and Bailey Dental! 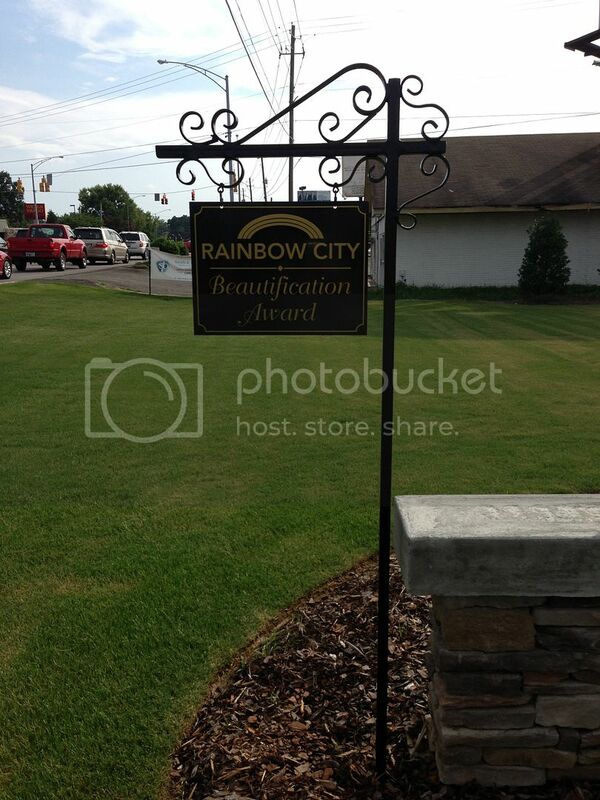 They were honored with a Beautification Award! I went with Julie to receive it on Monday night (Forrest was putting the finishing touches on some veneers) and it was such a great experience. The whole city council thanked them for building in the community and were seemed very pleased with them. Also, I got to see Carnell Williams' parents (professional football player who played at Auburn). They had won an award for their home. Forrest and Julie worked so hard to make their building attractive and this award was wonderful validation of their efforts. Ok, so if you follow me on instagram (which you totally should!) I have been posting random pictures of turkeys lately. Why? 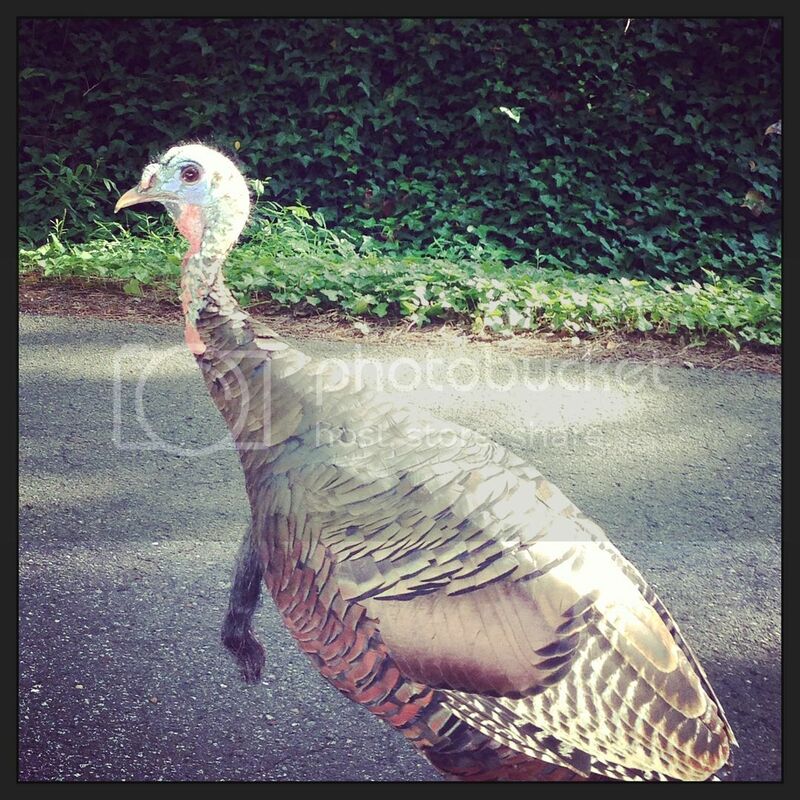 Well apparently this turkey family moved into the neighborhood last summer and they have gotten quite comfortable. You will always find them patrolling traffic (aka standing in the middle of the road slowing every one down), taking a stroll through someone's yard, or eating up all the grass seed this one poor guy keeps trying to plant. They are so tame they will come right up to you, which is super frightening because they are huge. They could definitely take me. They are really cool though and everyone in the neighborhood likes them (even if they did peck my tire one time when I tooted my horn at them) and have adopted them as our mascots. Y'all--my friend Shalon started an online magazine! Isn't that awesome? It is super cute and all about weddings. She has even asked me to write an article here and there! I am SO proud of her and can't wait to be a part of it! and speaking of magazines...my first article in the Gadsden Style magazine is finally online! You can check it out HERE! and speaking of weddings, my blogging bestie MEIGHAN got engaged! SO excited for her and I can't wait to follow along with all of her wedding plans! 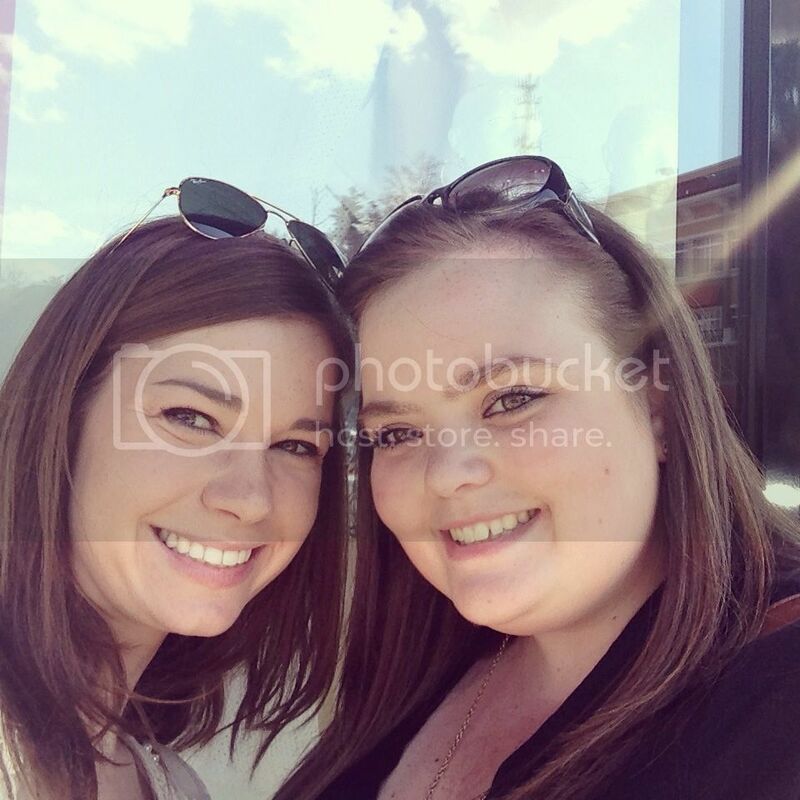 Me and Meighan on our blate (blogger date) this spring. We need to schedule another soon so I can see the bling in person! So Bailey Dailies is going start hosting sponsors! Yay! It's going to take a bit to get started, especially with the new Passionfruit 2.0. I have used Passionfruit ads for my button swaps but I'm not sure what to do now that they are charging $9 per month. I may have to host them myself, so I need to get that plan put in place before I decide. Other bloggers--what are you doing regarding the new passionfruit? They have really been fantastic and I hate to make my life harder by leaving, but I don't know if I can justify the $9 a month since I'm just now starting to offer sponsorships. Any thoughts? I'm so torn! 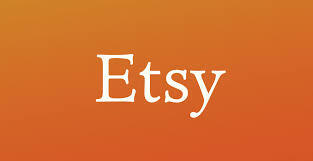 Finally, it is my friend Jenny's birthday and she is giving away FREE MONEY to Etsy!! It's her party and she'll giveaway if she wants to!! In honor of Jenny from Dancin' With A Dolly's birthday we have teamed up to give you an opportunity to win a $50 giftcard to Etsy. How amazing is this prize?! I mean who isn't obsessed with browsing on Etsy?! I hope you'll celebrate with us and enter this giveaway below!! Good luck!! So what are you loving this week? Leave me a comment with your blog link so I can check out your week! It looks like LOADS busy week , congo for an award . I am excited to hear about Nashville , I love that place, probabs because my fav girl Miley is from there , woop! Congrats on the article! Reading it right now!